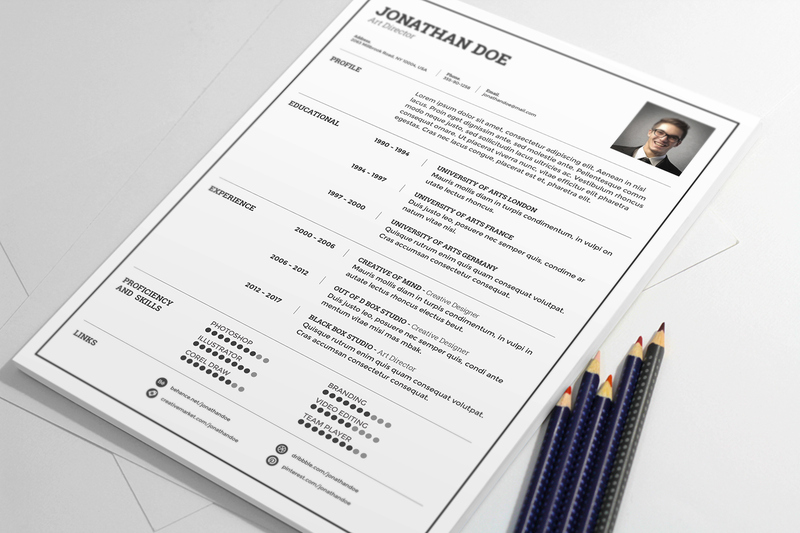 The perfect way to make the best impression, single page and clean info-graphic resume, very easy to use and customize, extensive help file included. Includes Both Microsoft Word and Photoshop files in International A4 paper size. Resume: This item has A4 size paper with bleeds. And you will get 3 files. 3 File Formats : All files are provided in the most popular resume file formats Adobe Photoshop .psd , MS Word .docx and MS Word 97-2003 .doc. All files are well organized, named and grouped shape layers, easy to find, modify and customized. All files are grouped in folders. Print Ready : Photoshop files are high resolution 300 DPI and CMYK color. So dont worry, your resume will be clear. Editable : All are layered and editable, layers are grouped and named very well. You can easily change color, text, and object. Help File : Everything in the resume has been discussed in the help/documentation file included in the package and shows in details how to edit and customize. Free Fonts Used : All font is free. You can found link download font in help file. If you confused to edit and want to have own resume. I have offer for you. 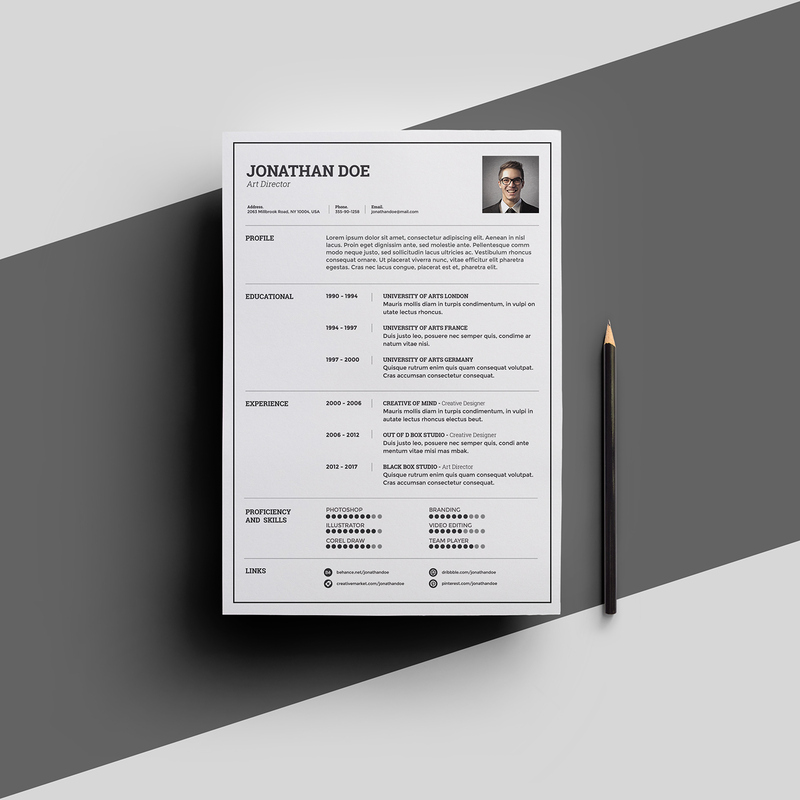 You can order resume template. Its only $5 for 1 page resume. You will not be a headache to change or think about the layout. 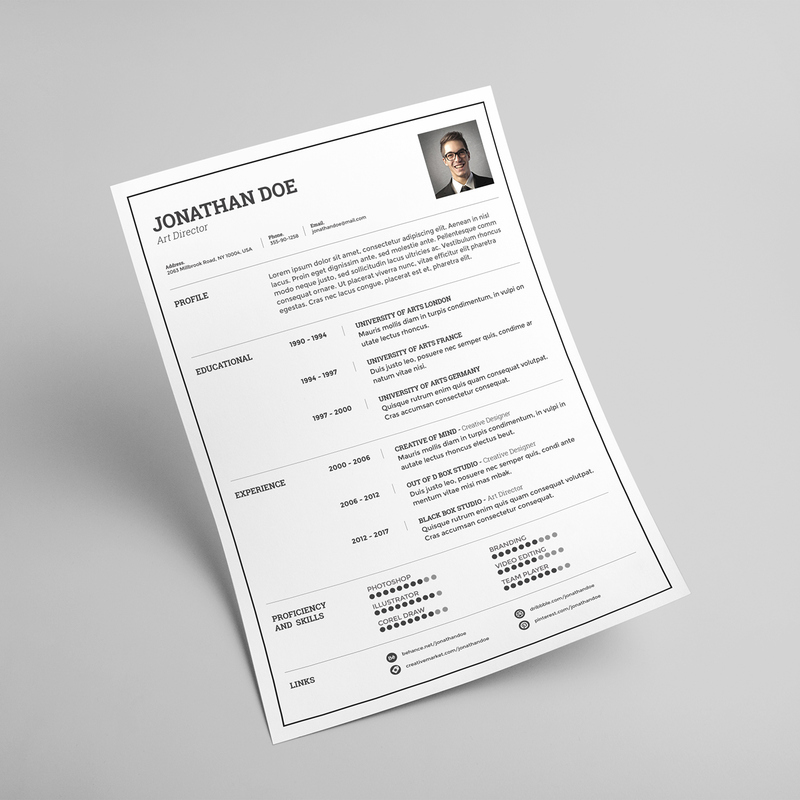 And you will receive a resume design that I make. Easy right! !